The Night Scout VX-WPT Night Vision Binocular from ATN is a dual-tube NVD designed for mid-range recreational observations. 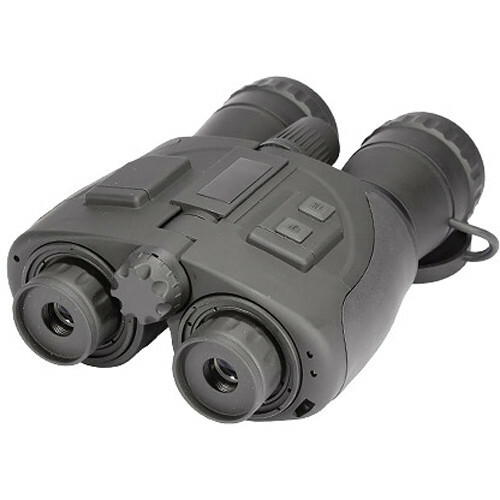 Binocular NVDs enable the operator to keep both eyes on the visual scene and provide greater depth of field than monocular and biocular devices. 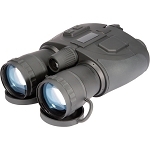 This configuration of the Night Scout features ATN's White Phosphor Technology (WPT) image intensifier. The WPT intensifier transmits a black and white image, and is capable of resolution and signal-to-noise performance that rivals Gen 2 intensifier tubes. The Night Scout features Bright Light Cut-Off circuitry that protects the operator's eyes and the unit from excessive brightness. 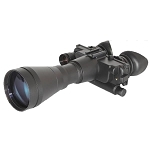 The 90mm lens system transmits a 20° angle of view, providing moderate magnification without completely restricting the viewer's situational awareness. 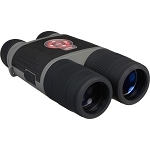 The viewing angle and bright f/1.2 optics make the Night Scout well-suited for wildlife observation and home security. 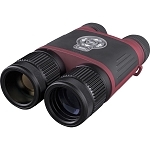 A built-in infrared illuminator, Proshield protective lens coating, and water-resistant housing help make the Night Scout VX-WPT a well-equipped NVD for a range of outdoor recreational tasks. Note: Export of this device described herein is strictly prohibited without a valid export license issued by the U.S. Department of State office of Defense Trade Controls, as prescribed in the International Traffic in Arms Regulation (ITAR), Title 22, Code of Federal Regulation, Parts 120-130, and/or the U.S. Department of Commerce. For further information contact the Office of Defense Trade Control and/or the U.S. Department of Commerce.